Dear Student(s) & Parent(s) …. 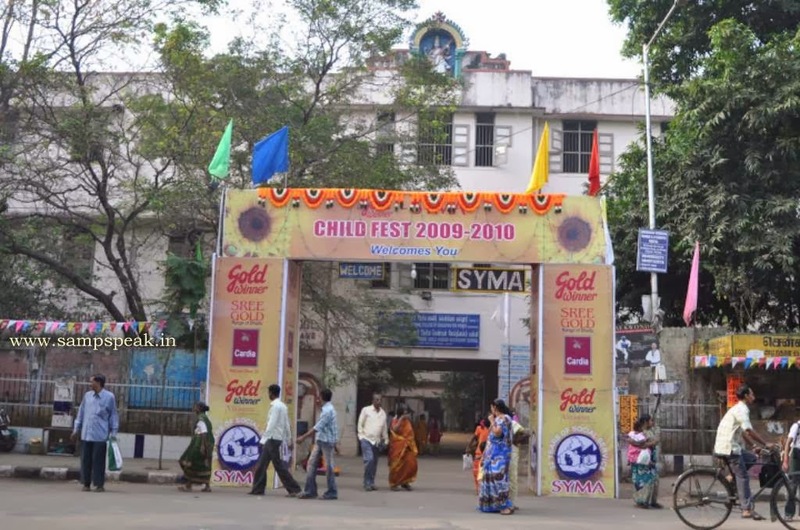 SYMA Childfest - is the grand Inter-school competitions being organized by SYMA. Srinivas Youngmens Association, popularly known as SYMA has been in the field of Social service since 1977. We have a Medical Centre providing consultation @ Rs.2/- and free medicines to poor patients from 5 pm to 7 pm on all days excluding Sundays and National holidays. We run a Educational Tuition centre titled ‘SYMA Growth’ providing free tuition centre for 2 hours on all days of week. We have been actively engaged in various other activities including provision of free uniforms, educational aid, health camps, blood donation, environmental cleanliness, civic programmes and more. Children are our future and inculcating good qualities in them and making them responsible citizens is the responsibility of the Society. SYMA all along has been striving betterment of society and imbibing discipline, commitment, mental strength, self-consciousness and other virtues. Child Fest is one such attempt aimed at imbibing in them the skill sets, confidence and more importantly competitiveness. Child Fest provides a competitive platform for showcasing talent in various fields. Over the years, this has become immensely popular with schools and with children, as the numbers are growing multifold year after year. The fete is a two day affair with individual participation in Drawing and Fancy Dress – the rest are representation through schools. Lkg-Ukg; 1st & 2nd; 3rd – 5th; 6th – 8th; 9th & 10th; 11th & 12th. v Students can come direct to the Venue, register and participate. v there is no topic for students up to 8th standard. v for Group E & F (9,10, 11 and 12) - the topic is 'Conservation of Forest'. v the chart for drawing would be provided by SYMA - participants have to bring pen, pencil, colouring material of their choice. v Only one team from each school and entry form duly completed must be sent by the school. v Weightage would be given for programme on National leaders. The school which is a landmark by itself is near Vivekananda House, Ice House Police Station and Sri Parthasarathi Swami temple. This great educational institution was founded way back in 1944 by Shri N.K. Thirumalachariar, a leading Member of the Bar. Shri C.R. Pattabiraman, a doyen of the Bar was also one of the Founders of the Society. The trust is managing N.K. Thirumalachariar National Boys' High School Triplicane and N.K. Thirumalachariar National Girls' Higher Secondary School, and the Staff training college also. The winners of all the events will be awarded Prizes at a function to be held at 0600 pm on 26th Jan 2014 at the venue itself. For all further enquiries contact : 044 – 28441078 / or e mail us at : srinivasyoungmensassociation@yahoo.co.in. With regards – S. Sampathkumar, Secretary, SYMA. The Nanda Dynasty originated from the region of Magadha in ancient India during the 4th century BC. At its greatest extent, the Nanda Dynasty extended from Bengal in the east, to Punjab in the west and as far south as the Vindhya Range. The Nanda Empire was later conquered by Chandragupta Maurya, who founded the Maurya Empire. Nanded is the second largest city in the Marathwada Division of Maharashtra, India, and the headquarters of Nanded district. Nanded is of great historical significance for Sikhs, and it has many Sufi shrines as well. The city is situated on the bank of the Godavari, and is a regional educational hub. Nanded was the capital of the district of Telangana under Aurangzeb. In 1708, the year following Aurangzeb's death, Guru Gobind Singh, the tenth spiritual leader of the Sikhs, came to Nanded. He proclaimed himself the last living Guru and established the Guru Granth Sahib as the eternal Guru of Sikhism, elevating the reverence of the text to that of a living leader. Nanded became part of the Hyderabad State in 1725 and continued to be part of the Nizam's dominions until 1948. 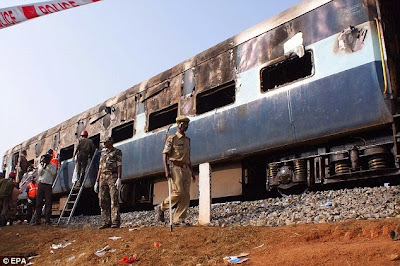 Nanded is in news for wrong reasons ~ a rail accident where 26 people are feared dead … fire on board the B1 air-conditioned coach of the Bengaluru-Nanded express early on Saturday morning(28.12.13). 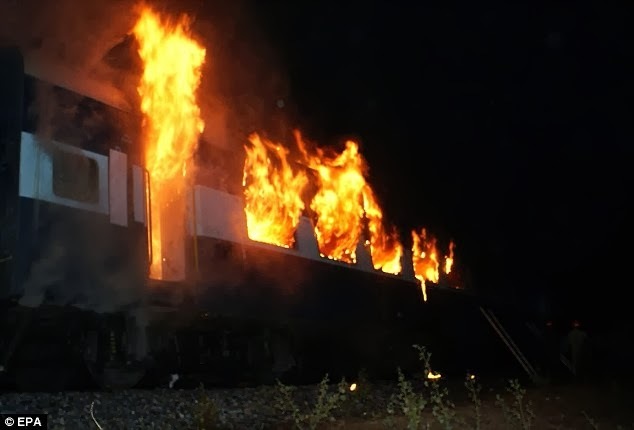 The train was travelling from Bangalore to Nanded when it caught fire near the small town of Puttaparthi in the early hours…. Sadly the frequency of train accidents causing loss of lives is on the increase. As the bodies were being transported to Victoria Hospital in Bengaluru, Union Minister of State for Railways Kotla Jayasuryaprakash Reddy visited the accident spot in Kothacheruvu and announced compensation to the victims, serious injuries and minor injuries. He said the Indian Railways would bear the cost of the treatment too. It is reported that sleeping passengers woke to the blaze that was caused by an electrical fault; Train doors had been locked and windows encased in metal bars ; survivors forced to smash toilet windows to escape. Newspaper reports quoting officials say that many of those trapped suffocated as the result of smoke inhalation after the blaze that took place in the early hours of the morning. The unfortunate met their end in the early hours when they were fast asleep. Firefighters had to force open the locked doors open to retrieve the charred bodies of those who did not survive ~ survivors were unable to help all other passengers out of the train through the narrow toilet windows which were the only way to escape. Though numbers vary around 68 persons are believed to have been travelling in the ill-fated air-conditioned carriage at the time of mishap. India's Prime Minister Dr Manmohan Singh expressed his 'shock and sadness' at the incident. The PM has also ordered the railway and state government authorities 'to extend all possible help to the victims in rescue and relief operations'. The first people to reach the scene were from nearby villages as initial relief efforts were hindered by winter fog, reports indicate. Railways Minister Kharge said the railway board chairman would lead an inquiry into the cause of the accident and a more complete report would be issued at a later date. The engine driver stopped the train when he spotted flames about an hour away from Nanded, a police officer was quoted on The Hindu newspaper website as saying. And as AAP is preparing to take oath of governance, comes the news that prices of compressed natural gas and piped natural gas are rising in Delhi, while they are falling in Gujarat. CNG is auto fuel and PNG is the cooking gas distributed through pipes. The development has the potential to queer the pitch for a war of words between political parties at a time when the newly formed Aam Aadmi Party, which had high energy and water prices as the theme of its campaign, is about to take charge in Delhi. That Gujarat chief minister Narendra Modi is the main opposition party’s prime ministerial candidate only adds more colour. At Durban, the second day began with grey skies and a persistent rain that wiped out the morning session but when play began, more than three hours behind the scheduled start, it was in blazing sunshine with the fans reaching for the sunblock. As we looked forward to dominance from Indians and century by Murali Vijay, Steyn scripted something else. He rolled over the lower order to have a 6 for and had India reeling to 334 from 198 for 1….. despite Kohli and Rahane making some runs India folded suddenly with ducks by Rohit Sharma and Jadeja who got out to Duminy….. Manjrekar was part of a discussion on whether Dhawan is a wonder only on placid wickets but……… what about the most talented Rohit Sharma ? At the time of posting this, England are 105 runs ahead after scoring only 255 in first essay……….. they bowled well and should be blaming themselves for that last wicket partnership which took Aussies from 164 to finish at 204. On a Saturday, how do you feel going to work ?!? ‘old order changeth .. yielding place to new’ the immortal words of Le Morte d’arthur. 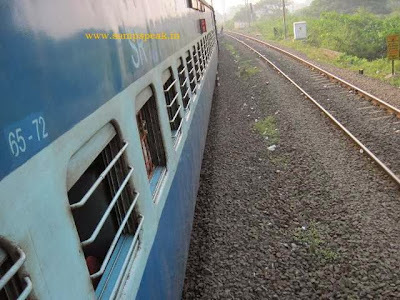 Life has changed a lot… if there is one Organisation (a State run one at that) ….. [run is apt description]….. which has kept abreast with technological changes and continues changing dynamically – the prize for sure would go to Indian Railways…. Which keeps introducing innovative ideas and solutions…for those of you who are cynical, go back to 1980s where booking a train ticket required special skills and hours of leisure……… + the art of standing in serpentine queues only to be told when nearer that ‘tickets have all been booked’…the Moore market reservation complex at Madras ushered in a revolution – whence one can stand in any queue and book for any train – not necessarily emanating or destined for Chennai – the computerized reservation was indeed a great step forward…….. then came e-ticket and now we are habitually travelling without caring to carry the printed ticket !!! Time-based pricing is a pricing strategy where the provider of a service or supplier of a commodity, may vary the price depending on the time-of-day when the service is provided or the commodity is delivered. The rational background of time-based pricing is expected or observed change of the supply and demand balance during time. Airlines ticketing is an easy example and now days you wonder how much your neighbour would have paid for the same travel !! Elders of Chennai would recall the ‘Moore market’ which was originally built housing the hawkers of Broadway… read that its foundation stone was laid by Sir George Moore, president of the Madras Corporation in 1898. In May 1985, a fire destroyed the market building – and in its place rised the Chennai Suburban Railway terminus and reservation centre catering to thousands of passengers. There are many trains between the capital Delhi to Commercial capital Mumbai………… there are Rajdhanis too… still 22913/22914 is different………… and here is an attempt to book a ticket by that train. It is special not because it is a Rajdhani, not because it does not stop elsewhere, not because its advance period is shorter and is just 15 days; not because it has no Tatkal facility……………. But because the price of this premium train is dynamic……….. confusing !! With a view to meeting the peak demand for travel on the eve of Christmas/New Year, Indian Railways has proposed to operate a few trips of premium Air-conditioned special trains on the busy New Delhi-Mumbai sector between 24th December 2013 to 2nd Jan 2014. The fare for this train is dynamic and would increase depending on the demand intensity. It reportedly started at a price band of Rs.2,175 for 3AC and Rs.2,910 for 2AC on Saturday, the prices by Monday evening had risen to Rs2,197 for 3AC and Rs3,357 for 2AC. This attempt to book a ticket on 30.12.13 showed a price of Rs.1815/- only. In the dynamic pricing system — which is used widely by airlines — the price of thousands of tickets are determined by computer servers and may go up or down in the days before the journey, according to demand. According to officials, by Monday morning, 48 seats were available in the train’s 2AC section and 421 for its 3AC section for the train’s December 26 Mumbai-Delhi journey. For its Mumbai-Delhi journey on December 29, the seat availability was 154 for 2AC and 549 for 3AC. Prices could shoot up further as the demand for the train increases. 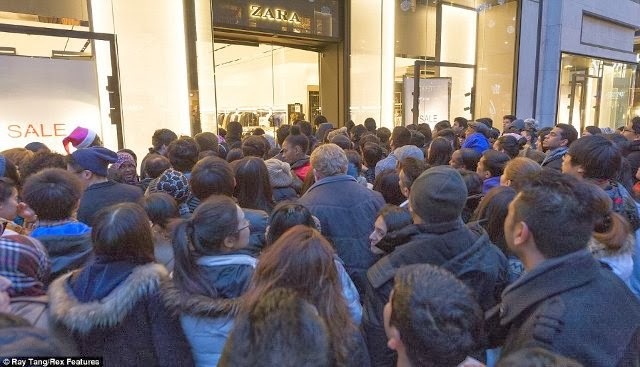 “It remains to be seen how high the ticket prices will go. But we believe this is the future of ticketing and we wouldn’t be surprised if the railways add more such trains in future,” said an official. According to a statement released by the railway ministry, the booking shall be available only through the Internet (IRCTC portal) and not through counters at reservation centres. Passengers are required to carry the prescribed original photo identity card which is used at the time of booking. Most importantly, the fares applicable for each day or transaction would be indicated at the time of booking on the IRCTC e-ticketing website. There will be no waitlist and there will be no refund too unless the train itself is cancelled. Everyone will be charged the adult fare. The train has no commercial stops enroute; has only AC 3 tier and 2 tier ~ No Tatkal/ Ladies/Other Quota tickets in this train and no concession is applicable. The menu and tariff of the catering services will be similar to other Rajdhani Trains. SA were agonizingly close to a historic victory in a match where India can take a lot of credit…. Eventually Dale Steyn and Philander were booed in their own country ….. they were expected to blow Indians over….now the scene shifts to Durban, a port city. Durban is the largest city in the South African province of KwaZulu-Natal. It is also the second most important manufacturing hub in South Africa after Johannesburg. 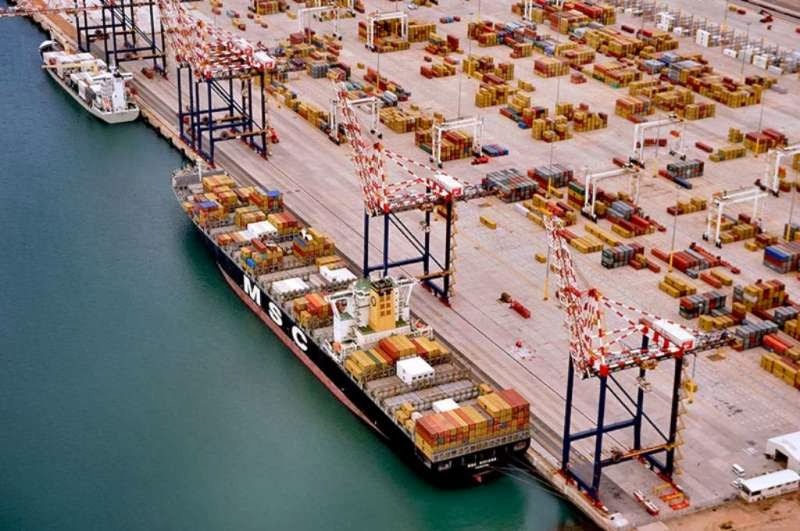 Durban is famous for being the busiest port in South Africa and Africa. It is also seen as one of the major centres of tourism because of the city's warm subtropical climate and extensive beaches. The idea of Durban as a port dates back to 1824 when the first European settlers made a landing with the intention of setting up a trading post. The Bay of Natal (Durban Bay) was one of the few natural harbours available along the east coast of southern Africa between Algoa Bay and Delagoa Bay (now Maputo Bay). Vasco da Gama is said to have sighted the Bay on Christmas Day, 1497. Since then ships called sporadically over several centuries. Little more than a stone's throw from the ocean, is located Kingsmead, home to sandy beaches and surfing. The ground has played host to tests since January 1923 when England and South Africa played to out a draw. Indians were skittled for just 66 in 1996. In 2003 Kingsmead staged the World Cup semi-final between India and Kenya. Statistically, this is South Africa's worst Test venue in recent years. Worst not just at home. Anywhere. They have lost to Sri Lanka, India, England and Australia in their last four matches at Kingsmead. There reportedly isn't much grass here this time. The pace attack remains unchanged – no Ashwin now and Sir Jadeja walks in…. Imran Tahir is dropped and in comes Robin Pietersen. At least Indians are not bruised as they have already exceeded expectations on this tour, but this is not the time for them to take stock of that. They can take pride in having told South Africa that it will take nothing but their best to win this home series. A step further, though, will cap a remarkable year for them. Though he is still there for today’s match – SA will find it hard to recuperate from the loss of Jacques Kallis who has affirmed solidity to batting and energy to bowling besides catching whatever came his way. To me, it appeared that his announcement was well prepared but well disguised too in tune with timing which has been his quality – be it the drives or the clever placements. He was more or less the grafter, the run-machine, the amasser, he was piling runs and raking up centuries at will and was breathing hard on Sachin Tendulkar……….now his retirements puts more premium on Sachin’s achievements. While all of us know of his batting and bowling too………. he has 199 grabs as an efficient slip fielder with bucket hands. He led South Africa only twice in Tests, both times against Australia. Early this year, he had to sit out against Pakistan at Centurion because of a calf injury picked up at an optional training session. Kyle Abbott featured in his place …………but was dropped when Kallis returned ~ a luxury, when you read of what Abbot did in that match. The fast bowling Kyle Abbott is part of this squad coming as a back up for Morne Morkel, but did not get his 2nd chance. Abbot had had a terrific start to his Test career - in his debut Test in February 2013, against Pakistan in Centurion, he took a match haul of nine including 7 for 29 in the first innings. In that test no. 2075 in Feb 2013, the debutant ran through Pak claiming – Mohd Hafeez, Younish Khan, Misbah, Sarfraz ahmed, Saeed Ajmal, Ehsan Adil & Mohd Irfan….bowling them out for 156 with his figures being 11.4-4-29-7. when Pak followed on he took the wickets of Imran Farhat and Ehsan Adil ~ was man of the match, but is yet to play his 2nd test……… will such a thing happen in the sub-continent ? Bluff is a town and seaport in the Southland region, on the southern coast of the South Island of New Zealand. It is the southern-most town in New Zealand (excluding Oban) and, despite Slope Point being further to the south, is colloquially used to refer to the southern extremity of the country. According to the 2006 census, the usually resident population was 1,850, a decrease of 85 since 2001 ~ some passengers boarded the ship from this Port on a month-long expedition and are in news. Yuly Mikhailovich Shokalsky, was aRussian oceanographer, cartographer, and geographer. He is credited with more than 300 articles…. His most important monograph was Oceanography (1917), a collection of his lectures which examined connection between meteorology and hydrology and emphasized the importance of monitoring marine phenomena in order to understand global changes of climate. His name is given to the Shokalsky Strait connecting the Laptev Sea and the Kara Sea, to the large Shokalsky Island in the Kara Sea, and to the ship Akademik Shokalskiy. It is vast ~ ice-covered continent, surrounded by stormy, icy seas - Antarctica is indeed a challenging place to reach! 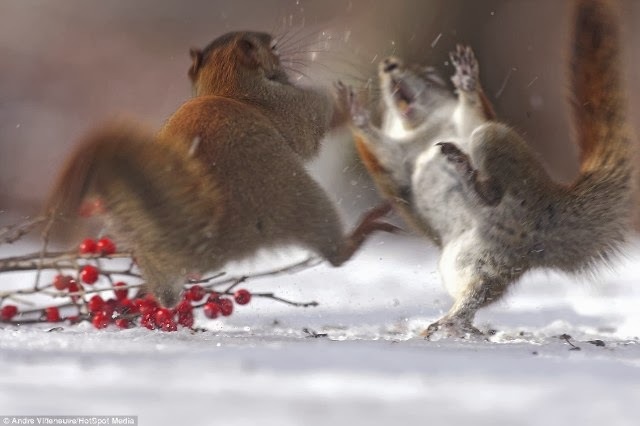 Only the most adventurous would plan to visiting the freezing ice and snow…. The World's 5th largest continent is 98% covered with ice which averages 1.6km in thickness. The ice sheet contains 90% of the world's ice and 70% of the world's fresh water. Antarctica is not a country; but governed by a treaty of many nations, preserving Antarctica for peace and science ~ its estimated penguin population is more than 50 million (7 of the 17 species of penguins) ~ it has no permanent human inhabitants, 1000 to 5000 work in scientific bases …. It is Antarctica- the coldest, driest, windiest and highest continent on earth. Uninhabitable to land animals it is paradoxically home to abundant wildlife during the summer season. There is news now that the ship MV Akademik Shokalskiy is apparently stuck in ice part-way through her Australasian Antarctic Expedition towards Mawson's Hut at Cape Denison. According to reports nobody is in present danger and three nearby icebreakers are being sent to assist. The Akademik Shokalskiy is a fully ice-strengthened expedition vessel renowned for polar exploration, because of its strength, maneuverability and small passenger numbers. MV Akademik Shokalskiy was built in Finland in 1982 and originally used for oceanographic research. In 1998 it was fully refurbished to serve as a research ship for Arctic and Antarctic work. 70 humans are reportedly on board the stranded vessel - 50 tourists and 20 crew members who were on a tour from New Zealand to visit several sites along the edge of Antarctica. The Australian Maritime Safety Authority (AMSA) received a distress call on Christmas morning, notifying the rescue co-ordination centre that the ship was trapped in ice and would need help.It is not known how long the ship has been unable to break free from the ice floes ~ but all those on board are reported to be safe. How alone is understood by the fact that the nearest ship is two days away, 1,500 nautical miles from the tourist boat – and until rescue vessels reach closer, it will not be known whether the passengers would have to be taken off the ship and moved out of the area on larger vessels. It is reported that the stranded ship was on a research expedition to commemorate the centenary of Australian geologist Douglas Mawson's exploration of Antarctica. A glimpse of Chepauk stadium … the MA Chidambaram stadium to be precise – brings in lots of memories … the famous stadium is named after M. A. Chidambaram, the former President of BCCI and the Tamil Nadu Cricket Association. Today is a holiday…. Boxing ~ pugilism is a combat sport – known as contest of strength, reflexes, speed and more… but can be quite nasty. Boxing Day perhaps has nothing to do with pugilism but traditionally the day following Christmas day when people would receive gifts from their employers known as Christmas box (not here in India) … understand that it is most popular down under; but in South Africa, Boxing day was renamed to day of Goodwill in 1994. India play South Africa at Durban tomorrow i.e., 26th Dec 2013 and down under Aussies take on battered and bruised England at Melbourne. Here are some tests… Test No. 708 – India won by 4 wickets against England; Test No. 752 ever remembered by that classy knock of Vishwanath; great bowling of Andy Roberts and the defeat (100 runs at that) suffered by Clive Lloyd against Pataudi led Indians in 1975; Test no. 841 Kalicharran led WI lost to Gavaskar captained India in 1979; Test no. 869 – grand Indian win against Pakistan in 1980 – Kapil Dev Man of the Match, Sandip Patil made his debut; Test no. 1089 Vivian Richards led WI lost badly (255 runs) to Ravi Shastri led Indians – Hirwant made dream debut taking 16 wickets – WV Raman and Ajay Sharma also made their debuts…. Perhaps you would have seen all of them… the Q is what unites all these Tests among more played ?!?!? ~ all Indian wins …. Not the only link… all Chepauk tests… and more importantly the Pongal Tests !!!............... the ground at Chepauk has been in existence from imperial days – the first ever test here was in 1933-34 when Douglas Jardine played Ck Nayudu led team. Crowds have always come in large numbers ~ it is not only the numbers – they are reputed to be most knowledgeable and appreciative………. And all the above tests took place on Pongal day……… for long Chepauk used to host Test matches on Pongal days…………. There is another long standing tradition, - the Boxing Day Test match hosted in Melbourne, Victoria, Australia involving the Australian cricket team and an opposing national team which is touring Australia that summer. 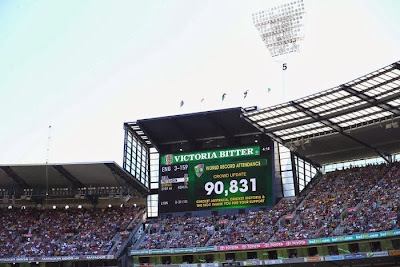 It begins annually on Boxing Day (26 December) and is played at the Melbourne Cricket Ground. Every four years, the Boxing Day Test forms part of the 5-match Ashes series with England. The popularity of the Boxing Day Test also has something to do with Australia's relaxed outdoor lifestyle, which sees sports lovers appreciate a fine summer's day spent with friends watching sporting greats battle it out on a well-manicured field. The first ever Test match involving Boxing Day took place in 1950. Prior to that, Boxing Day at the MCG had been the domain of Sheffield Shield cricket, often the highly popular Victoria-New South Wales encounters. Many famous events have happened during the Boxing Day Test, including umpire Darrell Hair calling Sri Lankan spinner Muttiah Muralitharan for throwing in 1995 and Shane Warne taking his 700thTest wicket in 2006 against England in his final MCG Test. Now tomorrow, the 2013 Boxing Day Test will be held from December 26-30 between Australia and England. 1950 saw the first ever Boxing day test……… Aussie won the thriller by 28 runs. The 2nd was against South Africa in 1952 ~ and there have been so many since…………… England is unlikely to reverse the trend of losing in the present series…………..
Sachin bowed out in style ~ Greame Swann surprised many and now comes another one……………… the news is that Jacques Kallis, one of the game's greatest allrounders, will retire from Test cricket after the Boxing Day match against India. 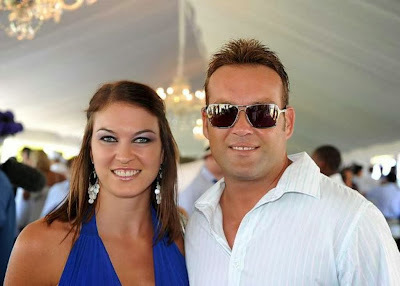 Kallis announced his decision on the eve of the second Test against India, but stated that he would still like to play the 2015 World Cup for South Africa. In a statement, Kallis said: "It wasn't an easy decision, with Australia around the corner and the success this team is enjoying, but I feel the time is right. I don't see it as goodbye, I still have a lot of hunger to push South Africa to that World Cup in 2015 if I am fit and performing. The last two years specifically have been a memorable journey with an exceptional group of cricketers. I am fortunate enough to have ended my Test career amongst a group of talented cricketers but, more importantly, friends whom I will cherish for years to come." 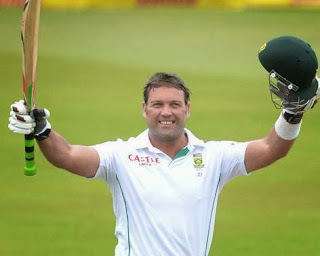 Kallis has been a phenomenal all rounder and one who scores so consistently with the bat… he made his test debut against England in December 1995; has played 165 Tests, scoring 13174 runs at an average of 55.12, with 44 centuries and 58 half-centuries. He is currently fourth on the list of leading run-getters in Test cricket, and is also second on the list of batsmen with most Test centuries, apart from having scored the most runs for South Africa in Tests. In one way, for Sachin’s fans – Kallis retirement is a thing to celebrate as it is he was the potential person to challenge his 51 test centuries… presently he has 44 in 165 tests and a couple of series against ordinary opposition could have taken him much closer. Now the gap is enormous and far too long for anybody to bridge… after Sachin’s 51; Kallis’s 44 – it is Ponting 41; Dravid 36; Gavaskar / Lara 34; Sangakkara 33; Steve Waugh 32; Jayawardene 31 and Hayden 30 above Bradman / Chanderpaul 29. So Sachin (his record of max Test centuries) would remain at the helm………. With no serious contenders to think of !! !